I am writing on behalf of workers and members of the IWGB currently employed at the University’s ‘Garden Halls’ by Cofely and Aramark. 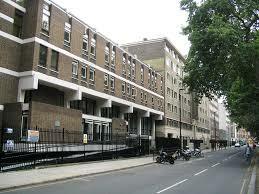 Since the announcement last year that the University had received planning permission to redevelop the Cartwright Gardens site, which would involve the demolition of all three halls, workers have been understandably extremely concerned for their future employment. The IWGB has made a series of requests for clarification as to the timetable governing this process, but has thus far received no concrete information. In addition, we have made a number of proposals to Cofely with the aim of preventing / reducing potential redundancies, but again the employer has refused to sit down with us and discuss these seriously. As new posts at the Halls of Residence are now being filled by employees on contracts which end on July 1, the assumption among our members is that they will all be made redundant on this date, should opportunities elsewhere on the contract not arise. If you could get back to me as soon as possible regarding this that would be much appreciated.